THIS NEXT PROGRAM KICKS OFF JANUARY 4th. I'm having a HUGE sale on the 8 Week Bikini Abs Nutrition & Fitness Plan in honor of the New Year! 1. Submit your one time payment of $99 (regularly $295___you'll save $196) by clicking the Buy Now button above. A. 8 weeks of Nutrition Schedules. What to eat for each meal, how much, and how to prep ahead to save time. Think simple, quick, delicious and money saving. B. 8 weeks of corresponding Bikini Abs Grocery Shopping lists. 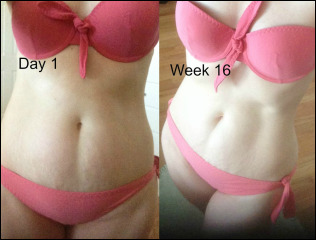 C. 8 weeks of ab toning, fast, fat burning, Workout Schedules. D. A Pantry Essentials list. Where to buy the healthiest groceries at the best price. Weekly live calls for accountability, support, community and motivation. This is key to staying on track and following through with a new healthy lifestyle. 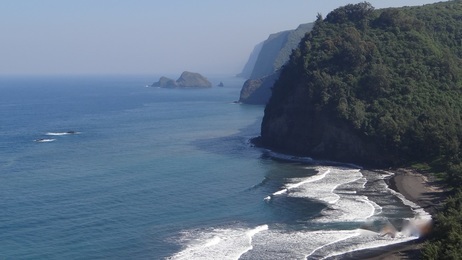 Access to our community group page. You will be emailed a link with access information once payment is completed. B. Access to my Healthy Lifestyle Nutrition Video Training Course. C. Bikini Abs Healthy Cookbook full of delicious and slimming recipes. 4. OUR MOTTO IS >>Change Your Body - Change Your Mindset - Change Someone Else's Life<<. That's why $5 of every program purchased goes to feeding the Maasai women in Africa. Healthy living is my passion and I want us all to have a fair chance at it. Let's not only give the gift of health to ourselves but also to other women in need. SIGN UP NOW by clicking the Buy Now button above and Get INSTANT ACCESS to ONE OF THE MOST SUPPORTIVE GLOBAL HEALTH COMMUNITY GROUP PAGES! MEMBER TESTIMONIAL: "Wow! Where to begin? The structure and encouragement that the nutrition plans, fitness schedules, and calls provided have been a staple in truly changing my life. This program has really helped me to make health & fitness a priority in my life, something I've been struggling to do for many, many years. Steph has been there every step of the way for support and alternative suggestions if something isn't working. I'm so grateful that I decided to give the program a shot because it's been the one program (out of countless attempts at others) that has really motivated me to make a lifelong change. After only 4 weeks, I've lost 10 pounds, have much more energy, feel happier, healthier, and more confident. I can't wait to see what a whole life of this feels like!" 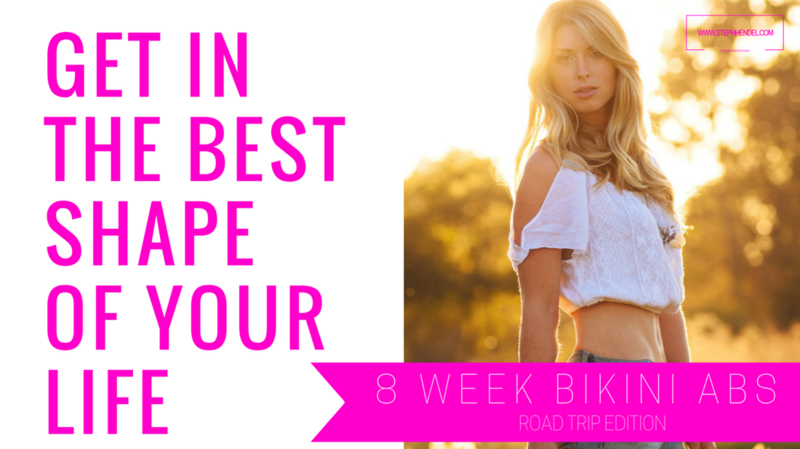 WHAT'S INCLUDED IN THE 8 WEEK BIKINI ABS NUTRITION AND FITNESS PLAN? What if you never had to wonder what to eat, how much and when to eat it to shed extra weight, tone up and reach your goals? What would happen if you were certain that each meal you ate would be exactly what you needed to sculpt and change your body? What if you knew how to get results more efficiently? What if you spent $7,000 less on groceries a year and knew that every meal would give you more time for the things you're most passionate about? What if after each meal you had endless energy instead of feeling tired or drained? What if you never felt deprived? What if you could have the body you desire by eating food you love? How would it feel if you had coaching on eliminating binge eating or overeating? What if you were trained how to navigate food and fitness so you could thrive at parties, events and vacations? What if you never had to wonder if the food you are eating is actually good for you? What if you knew that each meal would get you one step closer to your goal and had been carefully constructed to improve your health now and in the future? What if you had someone who cared about you and would make sure you know everything about food and living a healthy lifestyle? What if you had a way to prep meals ahead so that almost every meal took less than 5 minutes to make and you had someone to tell you step-by-step how to do that? 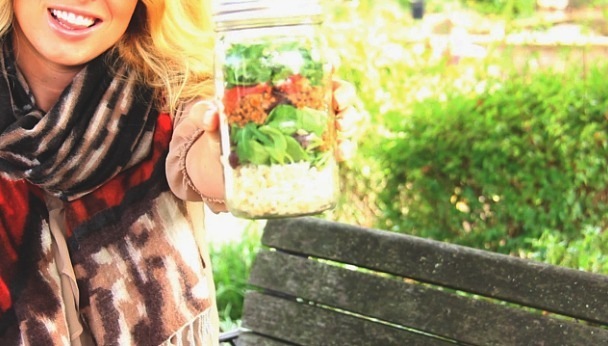 What if you had a list of the healthiest and most inexpensive food? If having all of this sounds like what you've been searching for than this program is for you. Every week you'll have a new food schedule, grocery list and very detailed bulk cooking schedule that is designed to lean out your body and shed any extra weight that's keeping you from a flat, toned stomach. You'll also get a pantry essentials list full of information on where you can buy healthy food at the cheapest price. Every recipe is created with your health as the first priority. Know exactly what to buy & what to make for bikini abs. Current participants range from vegan, vegetarian, paleo, egg free, gluten intolerant, dairy intolerant and everything in between, with men and women ranging from the ages of 20-65! Wouldn't it feel great if you didn't have to wonder if the type of workout you're doing was actually going to deliver results? What if you had someone who knew how to get you the result you want and could tell you exactly what to do every day to achieve it? What if you had a way to break past a plateau? Wouldn't it be awesome if you could do a workout that didn't take a lot of time, feel incredible the entire day and wake up each morning excited to look in the mirror and see all of your trouble areas tightening up and toning? If this sounds like what you've been searching for than this program is for you. Every week you will get a new workout schedule that will specificially focus on toning, tightening and sculpting your abs (as well as thighs, booty, and arms). Workouts are short and don't require a gym membership or expensive equipment. Each workout can be modified to any level of fitness from beginner to expert. Current participants range from people who haven't ever worked out to people who worked out in the past but haven't in months to people who have regular fitness routines, all are getting amazing results! How would your life be different if you had motivation and accountability EVERY day? What if you had a coach who loves and cares about you to motivate you daily to stay on track and remember your goals? What if you had daily training on how to shift yourself out of an unhealthy mindset and teach you how to train your brain to succeed? What if you didn't have to worry about not following through on a health and fitness program? How would your life be different if when you fell off track, you had the tools to jump right back up? What if you found a program that not only gave you the exact layout of what to eat and how to work out to reach your goals but also the love, support and accountability to build the healthy lifestyle you want? You will get a calls or videos that will inspire you to stick to a healthy lifestyle, even when things get busy and challenging. These calls deliver in-depth nutrition education along with pure motivation. Calls & video also cover important interlinked topics like self-love, building confidence, how to excel professionally and in relationships. The key to following through is mindset and emotions. I'll show you how to master this essential skill. With shifts in mindset, follow through comes naturally and bikini abs are within reach. Call times vary. Each call is available for you to access anytime. Do you want to be surrounded with people who value an active, healthy lifestyle? What if you had a community of people cheering you on and holding you accountable for achieving your goals? What if these people were so supportive and caring that it felt like a family? If you wish your family was less judgmental, more positive and encouraging of your dreams and desires then you've found the right "family", The Fit and Fearless family. I can promise you'll get nothing but positivity and honesty from me. I see your potential and want to hold you to your highest so you can have the things you want in life! You deserve fun, freedom, love and a great, healthy, functional body to live this incredible life in. If this is what you've been searching for than this program is for you. You'll have access to a private Facebook group of other "family members". In this group you can ask questions, post your "win's", post your workouts and meals, get feedback from the group and encourage each other. It's also a space where you can safely share when you fall off track and ask for support. We will guide you back on your path and love the heck out of you! It's a space to be real, open, supported, and loved. Get to know other people from your area and meet up for workouts and share healthy meals! It's an energized and positive place focused on self care, self love, follow through and breaking through barriers. This is the backbone of consistency in getting a Fit and Fearless bikini body! Join the family of people from every age, race, religion & gender who care and support each other. 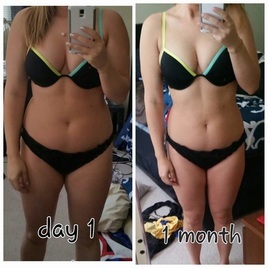 I highly recommend the 8 Week Bikini Abs Program to anyone who is looking for an amazing way to change their life. This isn't a "fad diet" or "health trend" - this is designed to awaken your soul to a whole new lifestyle. It has been the best thing I've done for myself in a long time. Before joining, I thought I knew what healthy meant. I've tried just about every other fad diet or fitness trend out there, often times seeing little to no results and falling off the wagon quickly. Stephanie and Josh have opened my eyes to taking care of myself in new ways and finding joy in simple pleasures that I never knew existed. Who knew that preparing healthy meals and working out each day could be FUN!? The results are incredible too. In just four weeks, I am already down 10 lbs; something that would have taken me months to achieve on my own. Steph takes her time in carefully drawing out custom meal plans that leave you full and energized. They are incredibly delicious, satisfying, and fun to prepare. And talk about budget friendly too - I never thought I'd actually SAVE money by shopping at Whole Foods and other organic grocery stores! Steph also teaches you how easy it is to make simple tweaks to your daily routine to see much better results. Each day I wake up feeling energized and excited to tackle whatever comes my way. The group forum is also a huge benefit to this program. Having a group of supportive friends to cheer you on along the way has been the "make-it or break-it" for most of us. The program is designed to feel like a family, where both your successes and set-backs are celebrated and embraced. We use each others experiences to draw strength and explore creative ways to live the "good, better, best" code. It's been life changing to say the least. If you are looking for a program to change your life and help you discover the strongest version of you, then you don't want to pass this one up! So I had a huge realization today. This program has changed the way I live my life and think about my body and well being. I realize that after 8 wks I may not have made every meal or did every exercise, but I made a lifestyle change by making it a priority to get out and get moving getting up and getting moving every day and I am making more conscious decisions about what I'm putting into my body. It feels great! When I looked in the mirror of my hotel room today I'm feeling better about myself...not 100% but I'm getting there and for once I feel like I can achieve what I wasn't. Yes sometimes I get off track but instead of getting down about it, I realize it's ok I can have a fresh start the next day. Change doesn't happen overnight. I'm finally ready to post my before and after pictures...they're not great but like I said I now have the tools to get me to where I want to be..slowly but surly!! Thank you Steph and josh and everyone else in this incredible group I couldn't have done it without you! I started this about 16 weeks ago. I lost weight, built muscle, gained energy, better sleep, and created healthier habits for my family. This was a win on all fronts. I thought I ate pretty healthy, but now I appreciate the new knowledge I have gained, and have definitely found better and healthier nutrition. Steph is so supportive and really understands not just fitness and nutrition, but our emotional blocks too. She has helped me change my mindset, not just about my body, but about life, work, chores, food! I love it! What makes it different is it covers everything from your mindset to nutrition and fitness. I think it takes all of those things and support to be successful. I find it so inspirational and extremely uplifting. Steph is amazing! The 8 Week Bikini Body Abs program is designed to keep food costs low while keeping nutritional value of food super high. You'll receive the Pantry Essentials List of food to buy in bulk + where you can find it at the lowest prices. The weekly Grocery Lists have been created to be smart about how you use the food you buy. The lists are filled with ways to maximize healthy, low priced food for amazing taste! Most weekly grocery lists cost between $58 & $65 for a week's worth (21 meals). Compare this to $210 a week spent at restaurants and meals bought the conventional way. That's on average $232 a month on food compared to $840 and $2,784 vs. $10,080 a year. That means $7,296 extra dollars in your pocket every year! What would you do with $7,296 extra dollars? The weekly food schedule saves you hours because it shows you how to use your time on food in a smart way! The weekly food schedule offers a step-by-step plan on how to prep food ahead of time so that most meals are pre-made and take 5 minutes on average to prepare during the week. That means more time for the things and people you love! Workouts are short and sweet! Get more out of less time with a variety of HIIT workouts and other ab toning routines. ﻿Isn't it incredible when something can be good for you AND good for someone else? It's a win/win. Not only will you be healthier by doing this program but you will help other women become healthier too. 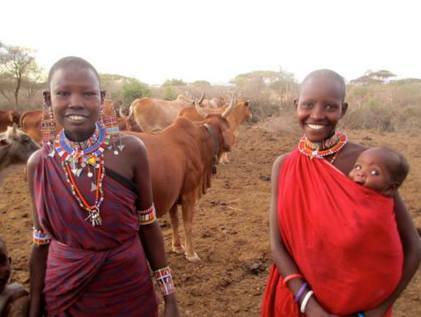 A portion of every program purchased goes to the Maasai women in Africa. After hearing about a Maasai woman who passed away because she didn't have enough to eat I knew this was where I wanted to help out. Healthy living is my passion and I want us all to have a fair chance at it. Let's support these beautiful women to live a life free of fear and full of love. Wow! Where to begin? The structure and encouragement that the nutrition plans, fitness schedules, and calls provided have been a staple in truly changing my life. This program has really helped me to make health & fitness a priority in my life, something I've been struggling to do for many, many years. Steph has been there every step of the way for support and alternative suggestions if something isn't working. I'm so grateful that I decided to give the program a shot because it's been the one program (out of countless attempts at others) that has really motivated me to make a lifelong change. After only 4 weeks, I've lost 10 pounds, have much more energy, feel happier, healthier, and more confident. I can't wait to see what a whole life of this feels like! "I started this program as a means of coming to a better place in my life. I was/am not looking for Bikini Abs, I was looking for motivation.The tools Steph provides are great reminders and/or new ways to think. It's helped me better myself in difficult situations. The workouts are great. I love HIIT and you're getting work outs that are easy to perform at home. My arms have gotten stronger, and my legs are really starting to tone up and we are only half way through. Plus who doesn't love a good walk or yoga session. If you'd forgotten that like I did, this is the program for you. Above all though is the fantastic community that you get with program, a place to share wins and struggles. It's a place of no judgement, just great support and possible friends. So, if you're looking for improvement of self, look no further, this is the program for you." 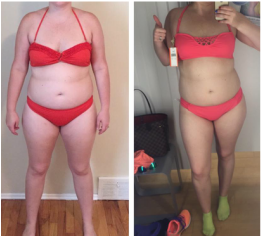 I am so thrilled I took a leap of faith in Steph and myself and joined Bikini Abs Program. First and foremost is the empowered encouragement of Steph Handel. She is sincere, compassionate, and the biggest fan of all who join her program. 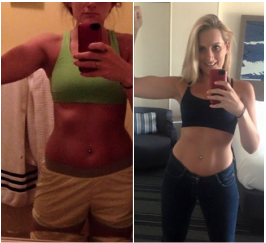 Her meal plans and fitness routines are easy to follow and keep your progress moving forward. I personally have become stronger, slimmer, and willing make better food choices since joining this program. I highly recommend Bikini Abs Program for anyone seeking to take their health and fitness to the next level. This program is the perfect accountability partner! This 8 week program was the most effective way to learn the tools to lose weight and stay healthy. The meal planning was simple and affordable, and the food preparation was easy. My body really benefited from the healthy, balanced and delicious meals. My mind was at ease since I didn't have to spend hours planning or making meals. Eating healthy and staying active are now part of my everyday life. Thanks Steph! Sign up for FREE to receive recipes, workouts, inspiration and motivation to transform your body.